According to police, one person held down the musical performer and two others pummeled him and stole his money. By Steve Annear·	 10/31/2014, 4:33 p.m.
Two people were arrested this week after allegedly beating and robbing Keytar Bear as he played for fans near Faneuil Hall. According to a Boston Police report, on Wednesday, October 29, after identifying the suspects using video surveillance, a male and female whose names were withheld were charged with assault and battery and unarmed robbery for their role in holding down Keytar Bear and repeatedly punching him in the head. A day prior to the arrest, police responded to a call for an unarmed robbery near 1 Faneuil Hall Square, where Keytar Bear was playing his instrument outside. According to the report, Keytar Bear told police that “while performing in front of a crowd” a white female between the age of 20 and 26-years-old, wearing a hooded sweatshirt and “dirty sneakers,” reached into his tip cup and grabbed his money. Police said that when Keytar Bear tried to block the suspect from taking his earnings, she “punched him with her closed fist several times in the face and nose,” causing him to bleed. As Keytar Bear struggled with the woman repeatedly hitting him in the head, two white male accomplices both began to attack, according to the report of the incident. 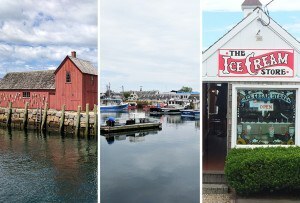 Police said one of the male suspects, who had a beard and also wore dirty sneakers, punched Keytar Bear in the back of the head, knocking him to the ground. It was then that the third male suspect, described as heavy set, wearing a hooded sweatshirt, held Keytar Bear down so that the female could continue to take money from the street performer’s tip jar. 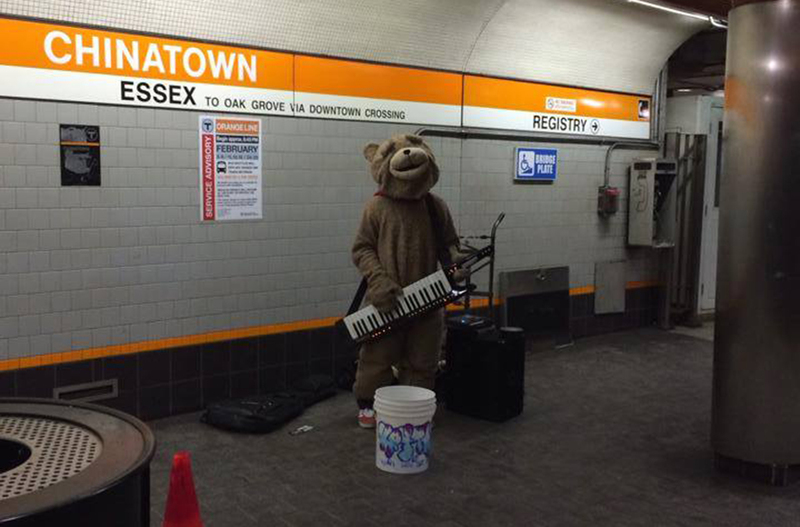 Police said Keytar Bear allegedly managed to free himself from the third male suspect, at which point he chased the female assailant in an attempt to get his money back, but she fled toward the Haymarket MBTA station along with the two male suspects. When police arrived, Keytar Bear reportedly refused medical attention. In a statement made on his Facebook page following the attack, the performer said that a knife was involved and that he was slashed, but that information was not in the report filed by officers this week. The following day, after reviewing video footage from a security camera located near where the attack took place, two of the suspects, a male and female, were positively identified and arrested by police after a “brief encounter.” Two separate articles of clothing worn by the alleged assailants—both were stained with blood—were turned over to police as evidence. Despite it being the third time in the last few months that Keytar Bear was the victim of an unprovoked attack, the performer remained positive and thanked his fans for the continued support.